Enjoy an introduction to Irish set dancing and French folk dancing in a fun and family- friendly setting taught by Yutaka Usui. Set dancing is done by 8 people dancing in square formation and is not the solo dancing seen in Riverdance. Breton dances will be taught by Doriane Rencker, a French native! Suitable for adults and children, no partner is needed, and beginners are welcome. Leather-soled shoes are recommended. Bring a dish for potluck buffet	and BYOB. 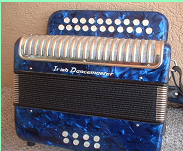 Workshops for beginners in bodhrán and Irish button accordion (loaners available will be	offered Fri. afternoon. Workshops are suitable for adults and children. See below for music workshop registration by Sat., July 23.
www.irishamericannews.com A Chicago magazine with interesting articles for the Irish American community. Quad Cities céilí group Also, information on barn dances and some upcoming events. 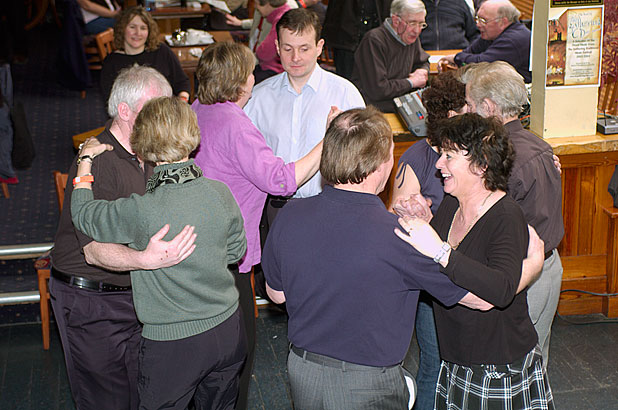 The official site for Irish Set Dancing with William Lynch. The Irish American Heritage Center. Irish cultural center, located in Chicago. The Celtic Music Association. With a listing of upcoming concerts, some photos and a large number of links. Comhaltas Ceoltoiri Eireann Organization based in Dublin that sponsors traditional Irish music, language, dance, and culture. Visit Milwaukee Irish Fest and the Irish Fest Summer School web link for information about music schedules and classes pertaining to traditional Irish culture. That Irish Shoppe, an Irish Store in Valley Junction, West Des Moines, Iowa.